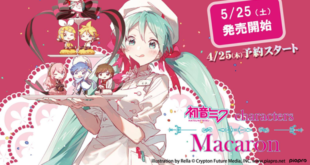 Noriko Hayashi, in collaboration with Akuo and Yoistyle, has announced a design contest for a new version of VOCALOID MAIKA. 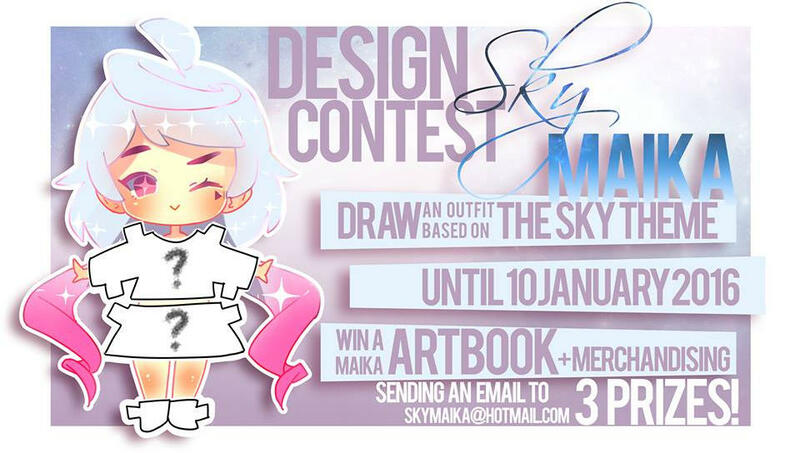 This MAIKA Design Contest asks fans to design a new outfit with the theme of “Sky”. The theme of the contest is “Sky”. Using either the template provided or your own, you must draw the front and back view of the proposed outfit in as high a resolution as possible. A 3/4 view can be included but is not a requirement. Fans have until January 10th, 2016 at 11:59 PM (23:59 UTC/GMT + 1 hour) to submit a PNG image without a background to [email protected] Any image sent after this deadline will not be counted. The rules can be found in English and Spanish in Noriko’s announcement. Only one entry per person. Once sent, modifications aren’t allowed. The designs can be shown publicly before the contest ends. The designs have to be shown as clear as possible with at least the front and back view. A ¾ and profile view is optional. Only flat colors, gradations, patterns and transparencies are allowed. There should be no shadows or illumination effects in general. However, you can create additional images without these restrictions, but they will not be counted. 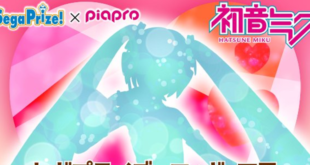 You do not have to use MAIKA’s original color palette. 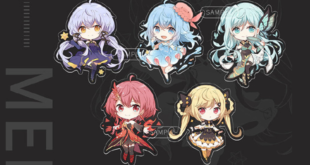 You can change MAIKA’s hair. The quality of the design, not the drawing itself, will be judged. The winning entry may be slightly changed. Taking part in the contest gives Noriko and any associate party the right to reproduce your design and use it in merchandise. By entering the contest, you give up these rights. The judge’s decision is irrevocable. Image uploaded by Noriko Hayashi for the template download. 1st Place: The MAIKA art book signed and dedicated to the entrant, MAIKA merchandise, and the design will be drawn by Noriko and appear in the art book as one of MAIKA’s official designs. 2nd Place: The MAIKA art book signed and dedicated to the entrant, and MAIKA merchandise. 3rd Place: The MAIKA art book signed and dedicated to the entrant.